At the “Russia – Land of Opportunity” forum, Russian Foreign Minister Sergei Lavrov has expressed his view on the fight against terrorism in Syria as well as spoke about the Russian S-400 deliveries to Turkey. Russian Foreign Minister Sergei Lavrov has urged the US-led coalition to stop supporting terrorists in Syria especially in Eastern Ghouta, where tensions have been running high recently. "The most important thing is that in Eastern Ghouta and elsewhere in Syria, the US-led coalition, which is conducting an aerial operation there and has a large number of special forces on the ground, ceases to support terrorists, such as Nusra Front and all other factions that the West considers to be not extremist. For some reason these factions work under the "umbrella" of Nusra Front and have a common command. The UN Security Council Resolution 2254 demands the terrorists be shunned," the diplomat pointed out. "Speaking about Syria, I want to say that we will continue to fight terrorists, we will defeat them, we will help to defeat them in Eastern Ghouta, where the Syrian army is carrying out anti-terrorist operations with our support," Lavrov added. The minister also noted that Moscow would make "humanitarian exceptions," meaning that those who want to exit the combat area and receive humanitarian aid can use the humanitarian corridors, as was announced earlier by the Russian Ministry of Defense. The minister stressed that it is impossible to protract the process of political settlement in Syria, in addition to continuing fight against terrorists and solving of humanitarian problems, issues to which the parties to the conflict could contribute more. Russia, Iran and Turkey will formulate recommendations for Damascus and the Syrian opposition following the meeting in Astana, Lavrov added. The Astana talks are aimed at finding a solution to the Syrian conflict and forging peace in the country. As a result of the negotiations, four de-escalation zones have been established in Syria, namely, in Idlib and parts of neighboring Latakia, Hama, and Aleppo provinces; in the north of the central Homs province; in Eastern Ghouta near Damascus and in certain parts of the country's southern Daraa and Quneitra provinces. 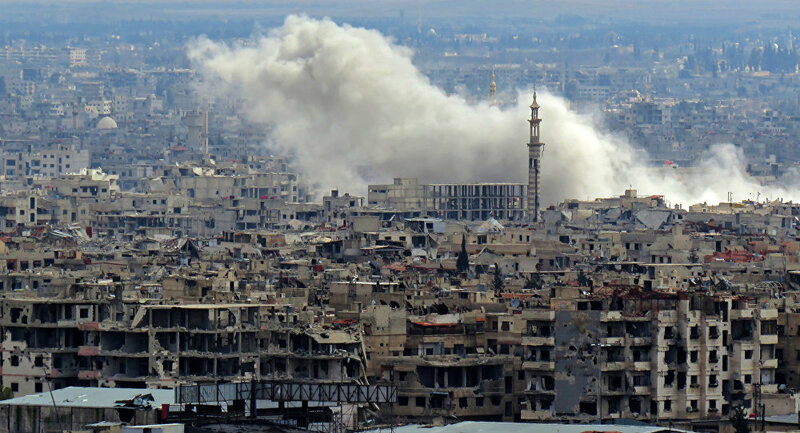 However, despite the establishment of a safe zone in Eastern Ghouta and the 30-day truce operating across the country in accordance with the UNSC resolution, tensions in the Damascus suburb continue to mount. 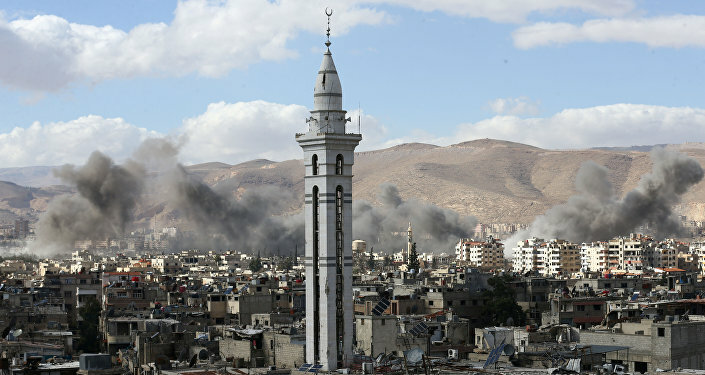 The Syrian government forces started military operations in the region in a bid to clear the area of militants. The truce, stipulated by the resolution, do not apply to anti-terrorist operations. 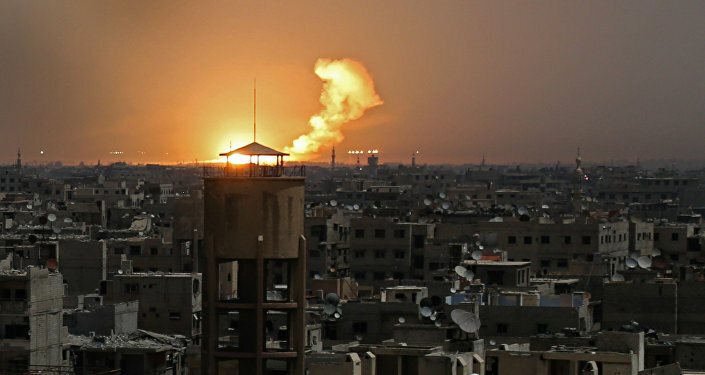 Despite the ceasefire regime, militants continue to shell Damascus, with Russian President Vladimir Putin saying that terrorists in Eastern Ghouta had been shelling Damascus around 50-80 times a day, including the region of Russia’s embassy. However, the US instantly shifts the blame on Damascus, saying that the Syrian forces been conducting airstrikes in Eastern Ghouta, which had claimed lives of civilians. 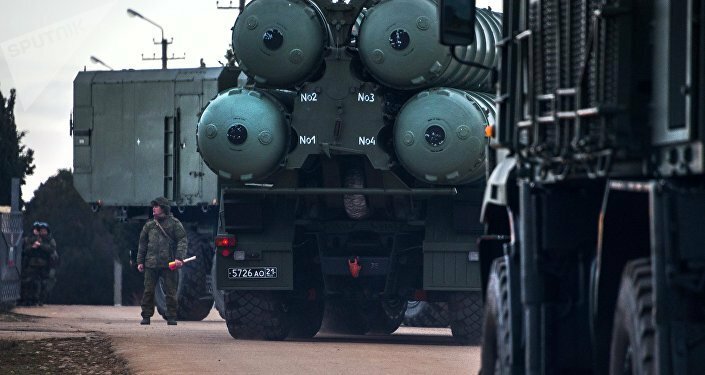 The minister went on to comment on the S-400 deliveries to Turkey, stressing that he believed that the supplies of the air defense systems to Astana did not pose any risks for Russia. "As regards S-400, I do not think that we should fear anything," Lavrov noted, when asked whether Russia was taking a risk by supplying S-400 systems to Turkey. Noting that Russia and Turkey often had their disagreements, Lavrov stressed that the current generation of leaders of both countries, with full awareness of this fact, has firmly decided to seek strategic partnership. "There are no eternal enemies. There is an inability to pursue politics that will correspond your interests and at the same time will not affect the interests of your partner," Lavrov stressed. On March 13, Turkish Foreign Minister Mevlut Cavusoglu said that Turkey will not use Russian S-400 air defense systems during its operation Olive Branch in Syria’s Afrin, since S-400 is a purely defensive system, which "will be used only if Turkey is attacked." The deal has become a major concern for NATO. Earlier this month, NATO Deputy Secretary-General Rose Gottemoeller said that the S-400 does not integrate with NATO members' systems, while NATO's Military Committee Chairman Petr Pavel warned that although member nations have sovereignty in decision-making, they are also "sovereign in facing the consequences of that decision." In December 2017, Russia and Turkey signed an agreement on the supply of S-400 air defense missile systems. According to the Turkish defense industry, Ankara intends to buy two batteries of this complex, which will be serviced by Turkish personnel. At the same time, the parties agreed on technological cooperation in this area to develop the production of anti-aircraft missile systems in Turkey. The head of Russia's Rostec corporation said that Turkey is buying four divisions of S-400s. In November 2017, it was reported that Russia would ship the first unit at the end of 2019.